There it is. 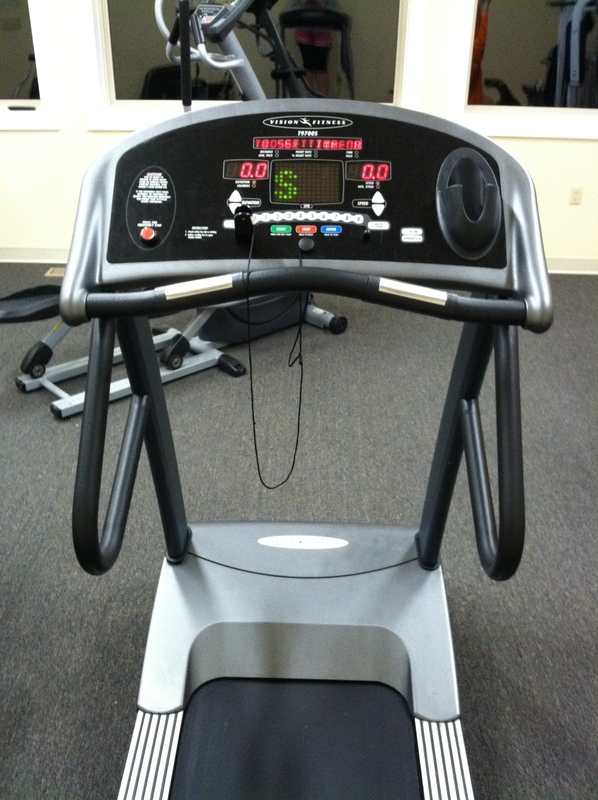 The ever so dreadful treadmill. From what I can tell by talking to other people, the general idea is that running on a treadmill is easier since you can control pace, easier surface, no resistance, and you are slightly forced to keep moving. The jury is still out on whether or not I actually like the treadmill, but on days like these it is so convenient. Clearly there are some mixed emotions. It got down to about 13 degrees last night and we had a super light snowfall. These cold temps are slightly tolerable during the daytime since you have the advantage of the sun, but at night it is just plain unbearable. 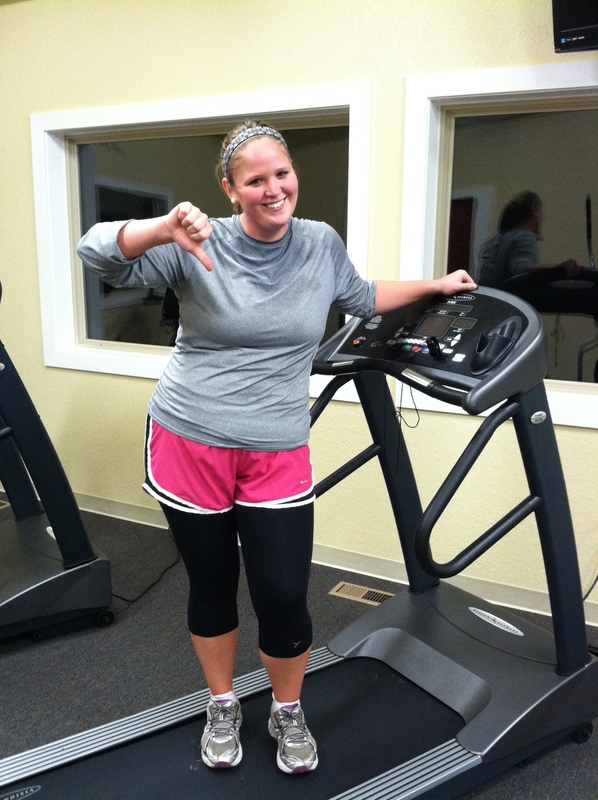 Big Sis and I knew we needed a good sweat tonight so we hit the gym and were forced to log our miles on the ole ‘mill. We ended up doing right at 5 miles. I struggled with boredom, bad form, and mental toughness. I’d much rather be running outside and I’m convinced that either the treadmill or my Garmin is lying to me when it tells me my calculated paces. The pace I was running tonight inside felt entirely different than a road run. I’ll let the jury decide on which one is accurate (they probably both are, I’m just too lazy to realize it). Jazz hands. Practice for the perfect future race photo. 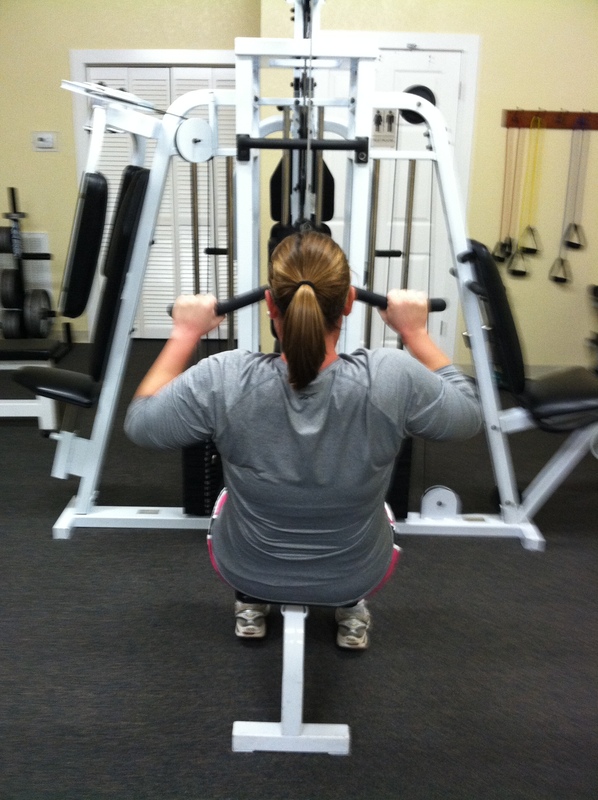 We also did a series of weights to get the ole biceps burnin’. Look out Ms. Olympia, we are coming for you! Overall it was a great workout and having the sweat on my head practically freeze when we walked outside made me super grateful that we took our exercise inside for the evening. I was even more grateful when I got home and got to eat some peanut butter bread with string cheese. Rock on, throw down. Baby got back. And biceps. Soon. 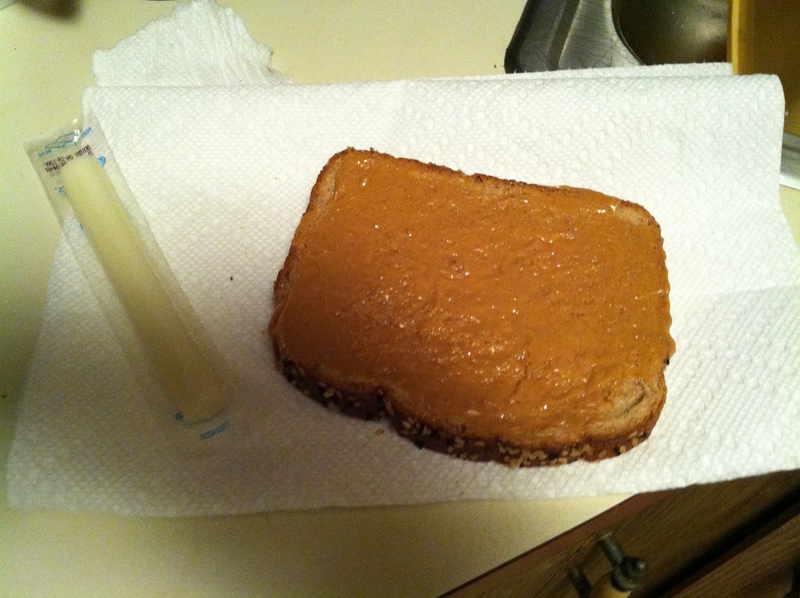 Mmm Peanut Butter Bread and string cheese. Perfect post workout snack. 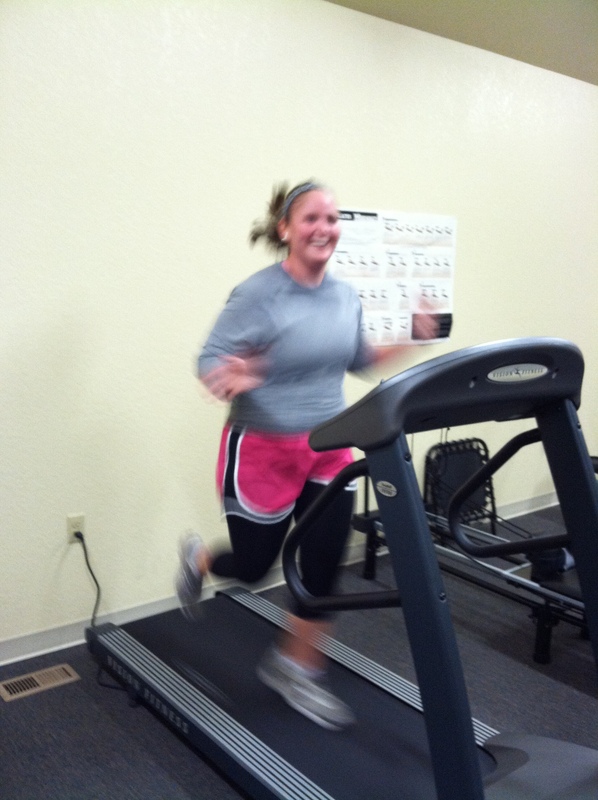 Do you enjoy treadmill running? Why or why not?? How was your workout today? I did a “virtual” spin class during my hour break between my two jobs at the gym today … the perk of working at an athletic club.When I’m working there, I have to try to fit in my workout before or during work, because by the time I’m done, I am ready to get the heck out there! I downloaded the spin class from Rachel Wilkerson’s blog. It was great to be able to spin even though I couldn’t make it to an actual class. Great job on the run! Go Kels!!! So proud of you!!! Keep up the great work. I like running outside best, but where I live it’s too tough to drive to find a safe place. So treadmill it is most days of the week! Great job!!! My pace outside and on the treadmill are totally different. nice job! i give you props for running on the mill. it scares the heck out of me. but so does running in 10 degree weather. ah!